Have you ever felt like you were struggling to keep your customer issues organized? If your business receives customer issues through different channels, you may find it hard at times at to keep track of which customer questions you have already responded to, or which ones you should take care of right away. OneDesk’s new help desk applications make it easy for your customers to communicate their inquiries or requests using social media, email, discussion forums and blogs. 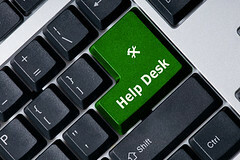 With OneDesk, you will also have an easier time tracking customer issues. The issues customers send to this email address, as well as the ones which you forward to this addresses can then be found in your OneDesk account. One Desk’s social media monitoring tool allows you to listen to the social web and identify support issues customers post on Facebook, Twitter and blogs. You can then classify feedback you receive by email or identify through social media and assign them to team members across your organization. You can also capture feedback, problems, questions, leads, and praise through email and social media, then manage them in OneDesk. OneDesk’s powerful automation engine allows you to automate your customer service workflow to create, manage and assign cases to the appropriate team members. The automation engine helps reduce manual data entry and create process efficiencies by allowing users to pre-set tasks to automate and streamline workflow. Set up automatic notifications, prioritize, and assign tasks to team members across your organization. Manage customer service and help desk workflow and optionally define automations to send emails to customers and staff for you. This is useful in cases where you need to reassign tasks, making sure all your customers receive an email response from you, or ensuring service level agreements (SLA) are met. A community support forum allows the customer community to help each other. Publish the best responses to create a permanent knowledge base. You can start discussions with customers and discover their needs. Then, bring their ideas into OneDesk, create requirements and tasks from them, take action and implement the ideas.